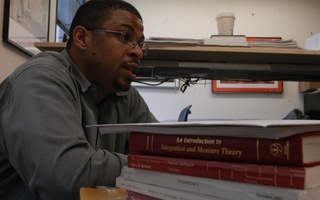 Economics Professor Roland G. Fryer, Jr., depicted in a 2006 photo. 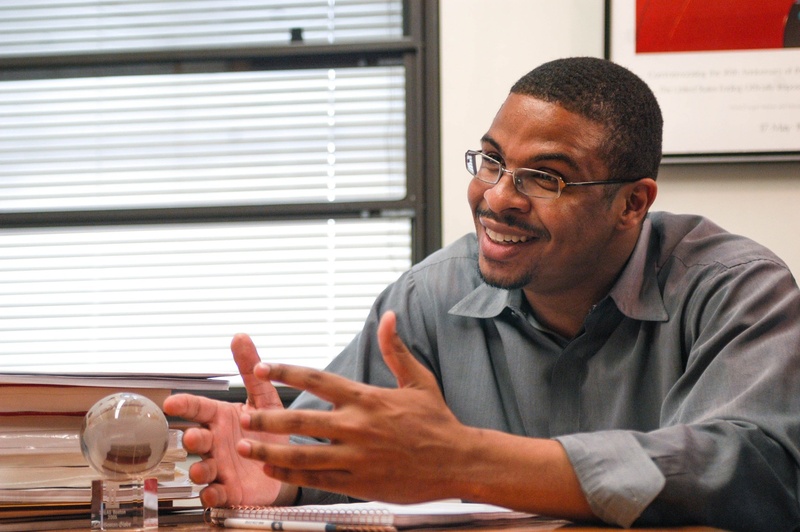 Days after electing Economics professor Roland G. Fryer, Jr. to a high-ranking administrative post in October, the American Economic Association released a statement noting it had become aware of harassment allegations leveled against one of its officers. The AEA announced in fall 2018 that it was adding Fryer — along with four other top economists including former Federal Reserve Chair Janet Yellen — to the 2019 iteration of its Executive Committee. The AEA, founded in 1885 for the “encouragement of economic research” and “encouragement of perfect freedom of economic discussion,” is a prestigious professional association for economists in academia, government, and the private sector, according to its website. Numerous Nobel laureates in economics number among its past officers. The Crimson reported in May that Fryer is being investigated separately by Harvard and the state of Massachusetts over allegations of sexual harassment brought by at least two women. Lawyers for one of the complainants alleged in a statement at the time that Fryer had committed “egregious” acts of verbal sexual harassment targeting their client. The attorneys also alleged that the professor “objectified and sexualized” female staffers in his lab. Fryer, a rising star in the Harvard Economics department before the allegations surfaced, repeatedly denied all charges of misconduct in a May interview with The Crimson. He did not respond to requests for comment for this article. Though the statement did not name Fryer, it almost certainly refers to him. None of the other four recently elected AEA officers currently face public allegations of harassment. And Robert J. Shiller, a Nobel laureate and Yale professor who headed the AEA in 2016, said in an interview last week that members of the AEA sent messages detailing the allegations against Fryer over an internal email list earlier this fall. “We have decided that, before proceeding further, we should wait for those conclusions, if they are made public and they come within a reasonable amount of time,” the statement continues. 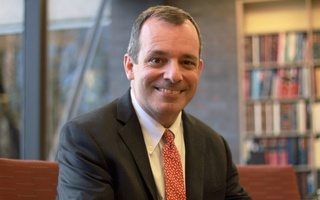 Fryer is currently the subject of an investigation by Harvard’s Office for Dispute Resolution, which handles allegations of sexual and gender-based harassment in accordance with the University’s Title IX policy. Results of ODR investigations are generally not made public. Because Fryer is a faculty member, Dean of the Faculty of Arts and Sciences Claudine Gay will receive ODR’s final report, and she will then decide whether to take action. In the meantime, Harvard has already taken “interim measures” against Fryer. 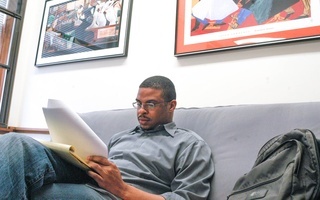 In March, the University forbade Fryer from entering EdLabs — the think tank he founded in 2008 to examine the economics of racial inequality — and appointed Executive Director of Harvard’s Center for African Studies Susan E. Cook interim executive director of the lab. Harvard also required that Fryer copy Cook on all emails he sends to EdLabs staff. A Harvard internal directory still lists Cook as “Executive Director (FAS FCOR EdLabs Staff),” though her listed address is not in the Massachusetts Avenue building that houses EdLabs. The outcome of the ODR investigation could ultimately result in punishments ranging from reprimand to dismissal. Only the Harvard Corporation, the University’s highest governing body, can revoke a faculty member’s tenure. Harvard spokesperson Rachael Dane declined to comment on the AEA’s statement and the status of the investigation into allegations against Fryer. 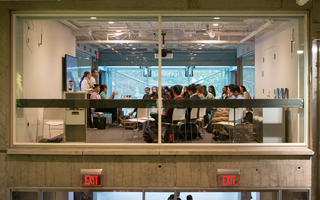 The results of the probe led by the Massachusetts Commission Against Discrimination — the state body investigating Fryer — could become public if state investigators find that the professor likely discriminated against members of EdLabs. MCAD would then launch a hearing process. The Commission enforces Massachusetts anti-discrimination laws, which prohibit discrimination on the basis of “membership in a protected class, such as race, color, creed, national origin, age, disability, gender, gender identity, sexual orientation, and more,” according to the MCAD website. The potential results of the MCAD hearing range from dismissal of the complaint to imposition of damages against Fryer possibly amounting to hundreds of thousands of dollars. AEA officers on the Nominating Committee and the 2018 Executive Committee were unaware of the allegations against Fryer at the time of his nomination, according to the October statement. The AEA released its slate of potential candidates on April 27, before The Crimson reported the existence of the investigations into Fryer. Voting in the election, however, opened on August 1 — roughly two months after The Crimson published its article. “We also believe that few of the members knew of the allegations at the time of the election,” the AEA statement reads. The AEA plans to ask all future potential nominees if they are the subject of an investigation. “One conclusion we already draw is that, in the future, we shall ask potential nominees if they are the subject of an investigation. This will help avoid such situations going forward,” the statement reads. The AEA declined to comment on its statement.